The fifteen days of the Lunar New Year — Chinese New Year — is celebrated in Asian communities worldwide. Red for good fortune and happiness together with gold for wealth are the auspicious colors of the New Year. While it is easy to understand the association of gold with wealth, there is no single explanation of how red became associated with good fortune and good luck. Though all of the stories are equally colorful, my favorite (and most widely known) is the one about Nian. 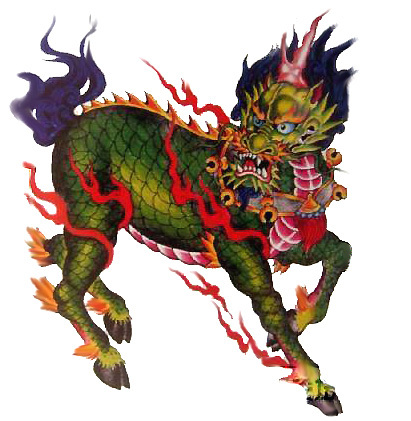 The story tells of a beast known as Nian who would come either down from the mountains or up from the sea (depending on what part of Asia you are in) to devoured humans on the Eve of the New Year. In order to keep Nian away, people would put red-paper with messages (couplets) around their doors as it was thought that Nian so feared the color red that the monster would be scared away for another year. On New Year’ Day people would greet each other by saying “gong xi fa cai”, or “congratulations” for having kept the evil monster away. 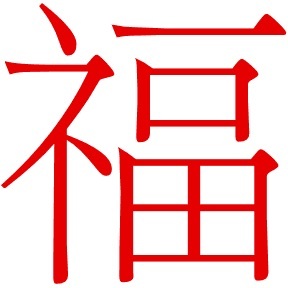 “Gung Hay Fat Choy!” translates “Best wishes and Congratulations. The tradition of placing red signs or putting a fresh coat of red paint on doors and windows prior to New Years day still exist today. People also stay up until midnight setting off fireworks to frighten away evil spirits. Red symbolises fire which scares away the evil spirits, so people dress head to foot in new red clothing for the same reason. White or black clothing are often avoided during the festivities as they represent the traditional colours of mourning for Chinese. 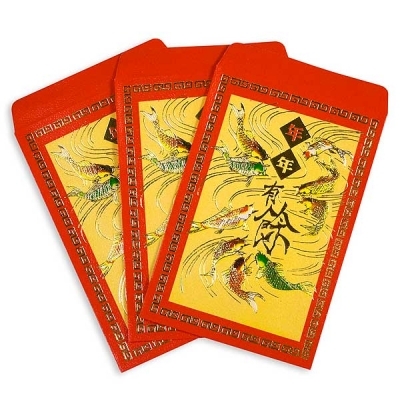 “Lai See” or red envelopes and the tradition of stuffing of crisp bills inside to give to single young adults, children and employees is a gesture meant to bring the recipient good luck and good health in the upcoming year. Interestingly the amount of the money given should be of an even number, since giving odd amounts of money are associated with funerals. The dance of the dragon and the dance of the lion are always part of a New Year’s parade, the dances are believed to ward off evil and bring good fortune and health in the new year. I highly recommend that you take part in the cultural experience of a traditional Chinese New Year parade. I’ll never forget stumbling upon my first one, quite unexpectedly upon moving to Manhattan. It is one loud colorful and super fun way to spend an afternoon! The 15th day of the new year, called the Lantern Festival marks the end of the new year festivities. 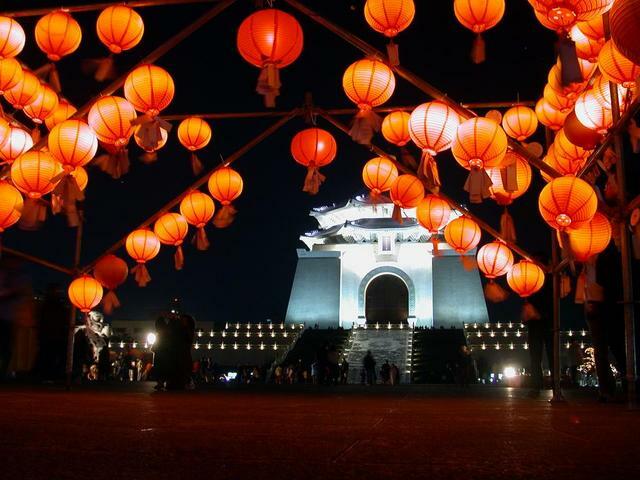 The celebration takes place at night with red lanterns displayed throughout towns and children carrying red lanterns in a parade. There are so many interesting traditions and symbolism associated with this time of year, check out this article to learn even more. Interested in finding out all about your animal birth sign? This fun article about Chinese horoscopes will have you reading up on everyone you know. Then add a little “good fortune” style to your life- by checking out my favorite Chinese goodies resource Pearl River. Gong Xi Fa Cai! I went to the parade in Chinatown yesterday. There were lots of colorful confetti everywhere. It was a really fun day. I saw the red envelopes you mentioned being given to children.